CoverGirl just won't stop killin' it these days. 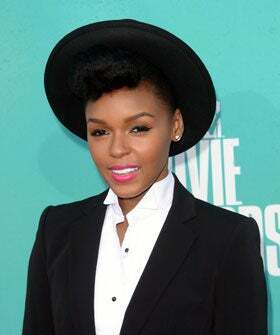 First, they sign Pink, and now, Janelle Monáe will also be a face of the brand. Getting involved with a serious artist like Janelle shows real commitment to intelligent, diverse spokespeople who are much, much more than a gaggle of pretty faces with nothing to say. This is the best thing to happen to the drugstore makeup aisle in a long time! Do you like Janelle's new venture, or should she stick to the stage?